LOUISVILLE, KY (WAVE) - Louisville Mayor Greg Fischer denounced a controversial letter from the head of the local police officers' union that attacks "sensationalists" who are "blind to reason" after a deadly police confrontation in Old Louisville. 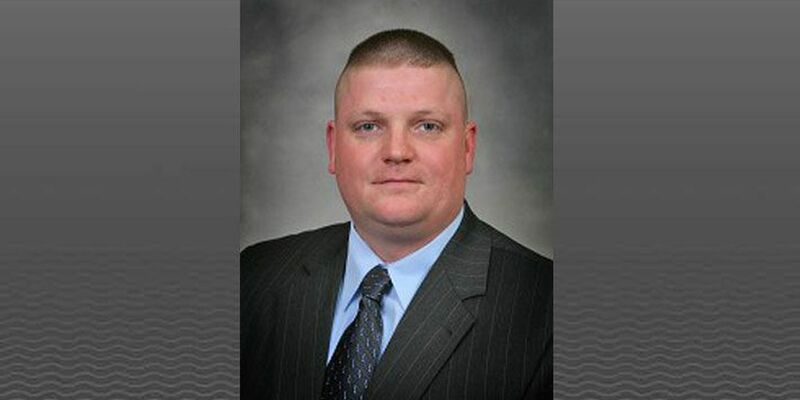 Dave Mutchler, president of the River City Fraternal Order of Police Lodge 614, promised that officers would "no longer stand on the sidelines while anyone continues to assault and demonize us." "To the sensationalists, liars and race-baiters - we are done with you," Mutchler wrote in a two-page letter released to reporters Thursday afternoon. Mutchler, who is a Louisville Metro Police sergeant, did not return a message left on his cell phone. Fischer later distanced himself from the union leader's words. "I appreciate that emotions are high after the tragic event of last week," Fischer said in a statement emailed through a spokesman. "This letter does not reflect the sentiments of me or the vast majority of Louisville's citizens, who know that we are all on the same page, working to build safe and strong communities for all of our families." Mutchler thanked Louisville residents who've supported police after Officer Nathan Blanford shot and killed a man who charged at him with a metal flag pole Saturday afternoon at Fourth and Oak streets. But Mutchler criticized witnesses who he said "flat-out lied" about the shooting. He then chided media outlets, claiming they "fanned the flames for financial gain." Some community activists have questioned whether Blanford should've used deadly force, and Mutchler reserved his strongest words for those people. "Your idiocy and lies are what caused the destruction in Ferguson (Missouri) and other cities around the country," he wrote. "We won't be tolerating that here. "Your ridiculous demands and anti-law enforcement attitude has reached a level that is unacceptable. You want our attention? Well you have it. Consider yourselves on notice." A Metro Police spokeswoman said Chief Steve Conrad wouldn't comment on the FOP letter until at least Friday. Friday morning, the spokeswoman said Conrad wouldn't be available all day. Rev. Gerome Sutton, who led a community meeting about police relations Thursday evening in Louisville's West End, called on Conrad to respond. "The chief ought to have something to say," Sutton said. "That letter is a threat. That's not going to develop a relationship with the police."
. He is serving his third term as president. In the letter, he also spoke to "the criminal element" in the city, saying, "We do not fear you." Fischer, who is out of town at the U.S. Conference of Mayors in San Francisco, took about four hours to respond to Mutchler's letter Thursday evening. "Rather than incite anger and distrust between the police and the community, my administration will continue to work to build those critical relationships and the trust they create," Fischer said in his statement. Anthony Smith, Fischer's director of Safe and Healthy Neighborhoods, said at a separate community event Thursday that he'd heard about the letter but hadn't read it. "I need to look at it," Smith said, declining a reporter's invitation to email him the letter so he could comment. "I'm not going to do it right this second, because we're just finishing up (the community event)." Consider this an open letter to the public we serve, the criminal element in our city, and the self appointed spokespersons who choose to remain blind to reason, who use misinformation and who sensationalize tragedy at every opportunity to forward their political agendas. Know this: The members of River City FOP Lodge 614, who serve and protect Louisville every day, will no longer stand on the sidelines while anyone continues to assault and demonize us. To those of you that support us while we serve and protect you — Thank You. Although you are not chosen for media interviews, we know that you understand we are here for you and your families. We know that the vast majority of you see that ninety-nine percent of police officers serve with integrity and courage. Although we know in our hearts that you are the silent majority, sadly, that may not be enough. Soon, we may have to ask for you to rise with us against the small, but very vocal group of people in our city who resist everything we all strive to attain — freedom, safety and the ability to live our lives happily and without fear. To the criminal element in our community-we do not fear you. We are not your punching bag and we will not simply stand by and accept your verbal or physical assaults. No matter what craziness occurs, we will always protect our citizens and ourselves. No matter how weak our criminal justice system, we will hunt you down again and again until they put you away or you go away. No matter how weak our policies we will find a way to make you understand that Louisville isn't where you want to live. Most importantly, though, take note of the following: If you actively resist or assault us, we will use every option available to take you into custody. If you use deadly force against us or use or attempt to use a dangerous instrument or deadly weapon against us, we will use deadly force against you and we WILL stop the threat to us, our fellow officers or the citizens we serve. To the sensationalists, liars and race-baiters —we are done with you. At first it was good enough just to sit back and watch your ridiculous spectacle. No more. Now your rhetoric, lies and hate puts all of us, police officers and citizens alike, in danger. From now on we will call you out each and every time you tell a lie, twist the truth or otherwise engage in vile behavior meant to push your selfish agendas. If your behavior or untruths causes harm to us or the public, we will make every attempt to have you investigated, charged and prosecuted at the local, state or federal level. Your idiocy and lies are what caused the destruction in Ferguson and other cities around our country and we won't be tolerating that here. We watched in shock most recently as some of you flat out lied to the media after a critical incident here in Louisville. Many in the media are self serving too, and we watched as they stood on the sidelines and fanned the flames for financial gain. It is obvious to nearly everyone that you are attacking and lashing out at the police instead of attacking the real problem — those who commit crimes in our city and those who enable the criminal element. Are you not paying attention to what is happening around the country? As police are disempowered the predominately minority areas of cities, including Louisville, are suffering at the hands of killers and violent felons. Yet you continue to attack law enforcement. Your attacks can't stop the truth from shining through. The truth is that every day there are millions of encounters during which police officers interact peacefully with all kinds of people, even during very difficult circumstances. Your flawed logic and lack of reason regarding events that occur in our society makes you appear stunningly inept. Let me help you. All citizens in Louisville, regardless of race, creed, color, gender or national origin have the SAME rights and responsibilities. No one gets a separate set of rules. Politicians may fear you and your tactics-we do not. You and those you enable must abide by the law and comply with law enforcement like everyone else. If you refuse to comply or even worse, attack a law enforcement officer, expect to be met with force. Your ridiculous demands and anti-law enforcement attitude has reached a level that is unacceptable. You want our attention? Well you have it. Consider yourselves on notice. We challenge you to have the same integrity and dedication to serving the community that you say you seek in the police. We already have it. You need to get it. I appreciate that emotions are high after the tragic event of last week. This letter does not reflect the sentiments of me or the vast majority of Louisville's citizens, who know that we are all on the same page, working to build safe and strong communities for all of our families. We are in this together -- police who put their lives on the line to keep us safe while building strong relationships of trust, and community members, who must be engaged citizens involved in our efforts to create a compassionate, thriving Louisville. Rather than incite anger and distrust between the police and the community, my administration will continue to work to build those critical relationships and the trust they create.